The Founding Attorney and Partner, Gary Brod has handled many types of personal injury cases involving persons who have sustained injuries as a result of negligence on the part of another. If it can be proven that the victim sustained injuries because of negligence on the part of another party, the victim is entitled to monetary compensation. Top rated Berks County personal injury attorney Gary Brod has over 30 years experience obtaining significant monetary settlements for his clients who were injured due to the negligence of others. Simply put, top rated Berks County personal injury attorney Gary Brod believes the most important goal is getting the injured personal injury victim the best result possible. Why Choose Berks County Personal Injury Attorney Gary Brod? Perhaps the best spokespersons for what we do here at The Brod Law Firm are our former clients who come from all walks of life imaginable and from all over Pennsylvania and beyond. Get a glimpse of why our clients are glad they found this firm. It is a fact that most of our business comes from satisfied clients who refer family and friends. Read about what the families and individuals that we have fought for in the past have to say about the work we do and the results we deliver..... in their genuine handwritten, thank you notes and then decide if this firm is the right choice with which to entrust you or your loved one's personal injury case. What should I do if I believe I have a Berks County Personal Injury case? Top rated Berks County personal injury lawyer, Gary Brod recommends Berks County personal injury victims take several important steps if you believe that you have been injured because of the negligence of others. First, document the incident. What happened? How did it happen? Did you ever warn the defendant that he or she was being negligent? Next, take pictures of any injuries you may have suffered. Our personal injury attorneys in the Berks County, Pennsylvania area also recommend that you take pictures directly after receiving injuries to show the extent to which you or your loved one suffered. Finally, contact The Brod Law Firm to consult with one of our expert personal injury lawyers regarding your case. Remember, time is of the essence and it is possible that your attorney can gain valuable information soon after the injury that he or she might not be able to gather later. Because Gary Brod is a Berks County personal injury lawyer who knows how to try injury cases and win; he knows how to win top settlements for his injured clients. At The Brod Law Firm our personal injury attorneys work exclusively for victims rights. 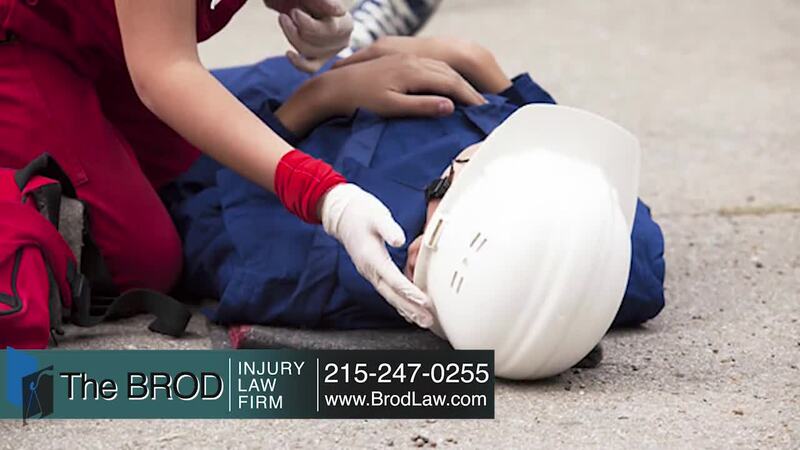 Contact the Brod Law Firm today to speak to one of our expert personal injury lawyers in Berks County. Call Gary Brod anytime at 888-435-7946 (888-HELPWIN) for a free no obligation consultation and explanation of your legal rights. We also have the option of easy phone or online sign-up process and we can begin work today.